All members of UK indie band Viola Beach killed in car crash. A badly damaged car is towed up from the canal under the E4 highway bridge in Sodertalje, Sweden on February 13, 2016. The four members of the up-and-coming British indie rock band Viola Beach and their manager were killed when their car plunged more than 80 feet into a canal near Stockholm, Sweden. The crash took place early Saturday morning, when the band was reportedly going to the airport to travel back to England for a show later on Saturday. Viola Beach was in Sweden as part of the Where is the Music? festival. Police said divers recovered the bodies of the five men, aged between 20 and 35. Swedish authorities claim the car crashed through a barrier that was meant to stop vehicles from going through the drawbridge that was opening at the time. 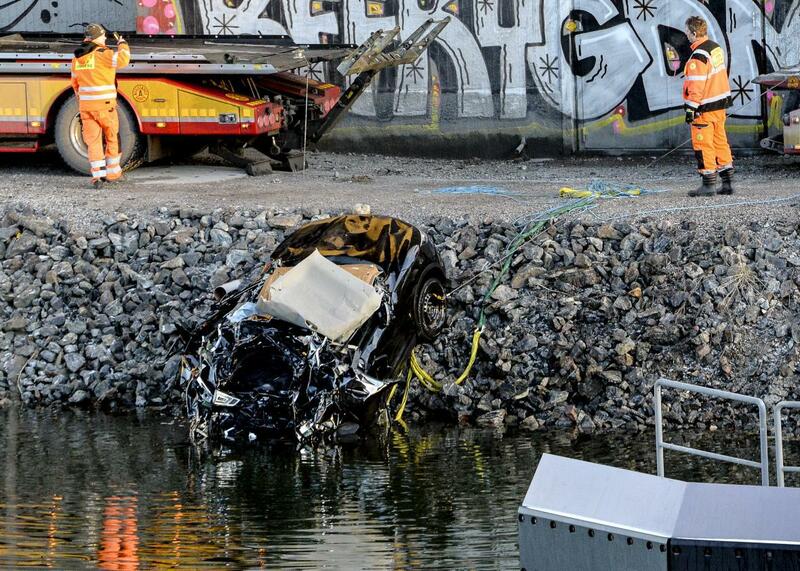 “For some reason, this car went through the barriers and actually went under the bridge and into the Sodertalje canal,” a police spokesman said. Viola Beach—made up by guitarist and vocalist Kris Leonard, guitarist River Reeves, bassist Tomas Lowe, and drummer Jack Dakin—had dozens of shows planned for the upcoming weeks and had been selected to play at the South by Southwest festival in Austin. The band’s debut single, Swings & Waterslides, was released last year. “Viola Beach were on such an exciting journey and River could not have been happier. He would have loved to have stuck around for the party,” Reeves’ family said in a statement.